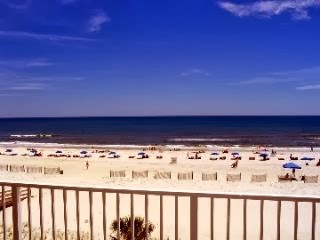 This third floor beachfront condo in Gulf Shores Alabama includes a gulf-front master bedroom with Jacuzzi tub in the private master bath, same level parking, cool beach scenes, computer/media room, full size washer and dryer, free WI-FI, etc. Monthly Nov-mid March. Indoor parking with a 2 car maximum.